The World Wide Web is a big place, filled with millions upon millions of websites. Each one of these sites must have an address that allows individuals to find it via search, social media, email or through direct referral. As time has progressed, more and more top-level domains have been added to ensure there is enough domain availability for all who wish to compete in the world’s biggest marketplace of ideas. Even with seemingly infinite possibilities for domain names, it is more common than not that the first desired domain name on your list is already taken. What can you do when your desired domain name is not available? Below, we’ll discuss your options. 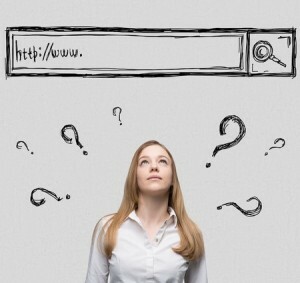 Domain names in the past held immense power in the form of keyword rankings. In other words, if you were lucky enough to have a domain name that matched the keyword targeted, then you were virtually guaranteed the top spot in search. Today, however, things are different. Pinging URLs to Google that match keywords do not guarantee success; you can still dominate in a SERP with a different domain name. Through persistent and targeted keyword work, your domain can rank well in any search. This is perhaps the most traditional and labour-intensive modern way to overcome not owning an ideal domain, but it is definitely required for any long-term efforts. While www.keyword.com may be taken, www.keyword.us or www.keyword.info may still be available. There are literally hundreds of top-level domains (TLDs) now available for webmasters to consider when searching for a domain name, so do not automatically settle on a .com variation if your heart is set on a particular keyword or phrase. While individuals may instinctively want to add “.com” to any website address they remember by heart, a proper branding campaign and publicity can associate the correct URL with your brand in users’ minds and ensure more direct referrals. In addition, many of these TLDs cost the exact same as the more traditional .com and .org variations, so there is no excuse not to consider this approach. There are a variety of approaches you can attempt to use when your currently desired domain name is taken besides what is mentioned above. For starters, you can attempt to buy the domain from the owner; in many cases, they may have only purchased the domain in order to resell it and may even be pinging URLs of other domains they bought in lists on the main page. Domain names often expire after one or two years, so if the owner is not diligent in keeping an eye on it, the domain name may become publicly available at some point in the future – keep an eye out for when it could be back on the market. You can also try variations of the desired domain name – adding a hyphen, rearranging words or adding a single descriptor to the end of the keyword – to see if one is available. Ultimately, there are plenty of ways to work around this problem, so don’t become too frustrated when the one you want isn’t immediately available!